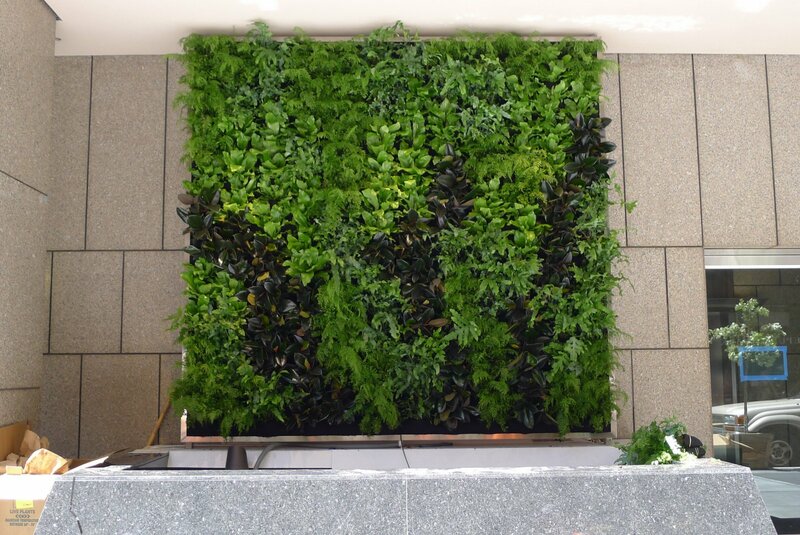 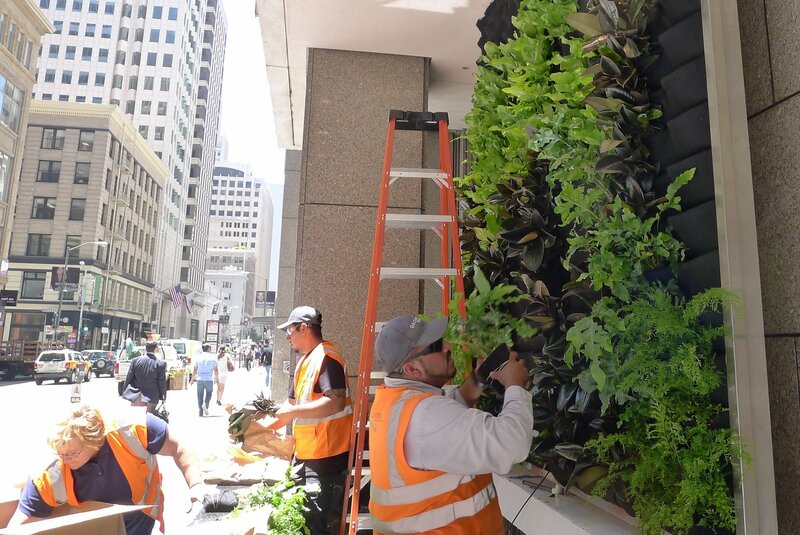 Plants On Walls Installs today completed a stunning 100 square foot living wall, tucked beneath CBRE's corporate towers at 100 Pine Street in downtown San Francisco. 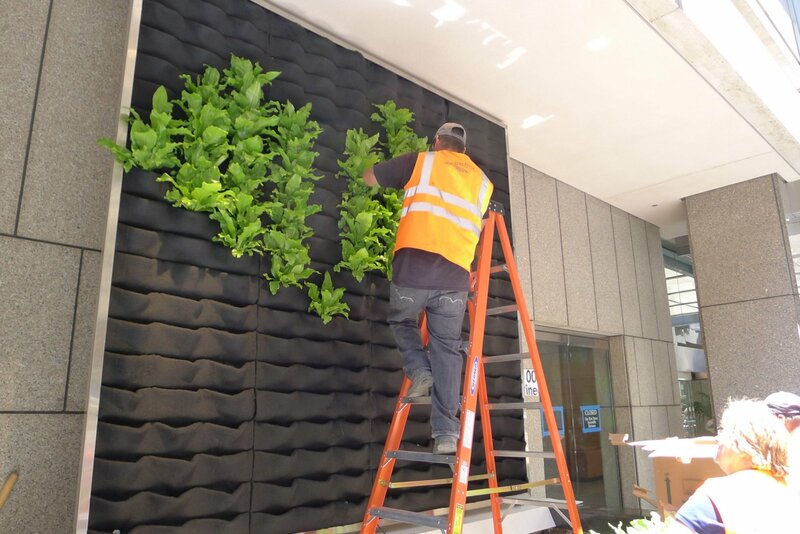 The massive wall uses 240 plants as the finishing touch on a redesign of the company's street signage, bringing a distintive, eco-friendly flair to the entrance. 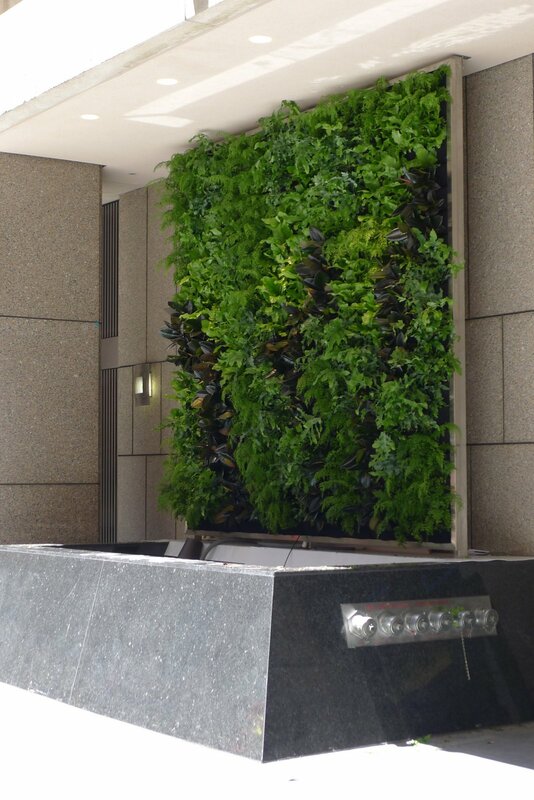 Chris Bribach, organic architect and founder of Plants On Walls, directed a team of installers from Gachina Landcape Management to arrange the ficus decora (rubber-tree), birdsnest fern, mother fern, and bear-paw fern on the stainless steel-framed Florafelt vertical planter system, installed by R.N.Feild Construction.